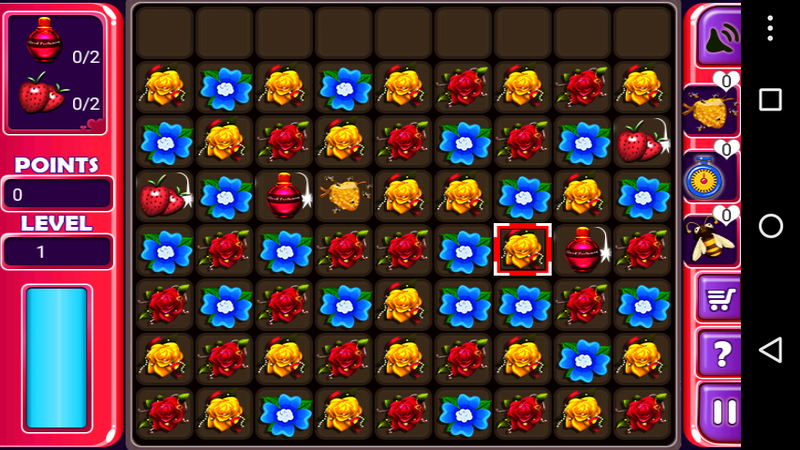 As the season of love is going on- impress your valentine by playing this puzzle game. Start collecting lots of gifts for her by simply matching alluring flower match by swapping it. Clear the row with making three or more collection. Hence, the gifts will be reached at the bottom from where it can be collected. In order not to get heartbreak from your Valentine, you have to complete the puzzle in a particular time frame. Don’t forget to take the help of the bee which will help in collecting the special rewards like a beehive, bonus time etc. in surviving or playing long in the game.30 isolated level from each other with lots of new rewards. After winning or passing any new level the player will be rewarded with 2000 bonus points. Beyond any doubt to keep you coming back for more!